You may have seen a couple of months ago in my Vitamin E Haul I wrote about how I was excited to try out the skin oil as I’ve heard wonderful things about using oils on your face. Before I started using this, the idea of putting oil on my face absolutely terrified me. I have rather dry skin, but it can get greasy at times, so I thought applying the oil would surely make the oil on my face so much worse. So when I first used this I was rather nervous to what it would do. 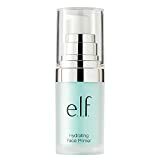 I applied this at night using my fingers, and when I woke up the next morning my skin was amazingly soft, it felt plumper, and it works amazingly on my dry areas. Like all the other products from the Vitamin E range it has this amazing smell, which just smells gorgeous and clean. I really love how cheap this is, only 2.99 from Superdrug. I’ve also experimented using this as a body oil too, and putting a few drops in the bath to leave me silky soft all over. As its only a 30ml bottle I’m sticking mainly to using it on my face, so anyone got any good body oil recommendations? Rating – 8/10. An amazing product, but I really wish Superdrug would make it in a larger size!